A solid round of 68 in Thursday’s opening round of the Madrid Masters has given Darren Clarke confidence that his game is in good shape ahead of next week’s Ryder Cup, and the man from Northern Ireland has also revealed that his is mentally and emotionally ready for the challenge of taking on the Americans at the K Club in Ireland. Clarke has not played a competitive round of golf since the Open on July 21st, after which he took a break from the game to look after his sick wife Heather for the final few weeks of her life. Heather passed away in August after a long battle with breast cancer, leading to much speculation that the 39 year-old would not be playing on the European team next week. In the end he made himself available for selection and European skipper ian Woosnam rewarded his brave decision with a wildcard pick. “My game is fine and I’ll be ready for the Ryder Cup,” Clarke said. Clarke’s extended break from the game made it clear that if he were to make the team then it would probably need to be as a wildcard choice. He is grateful to Woosnam for giving him the opportunity ahead of some other strong candidates. “It was fairly obvious from early on in the season that I was going to have to be a wildcard,” he explained. The 36th Ryder Cup from the K Club in Ireland begins next Friday (September 22) between Europe and the USA. 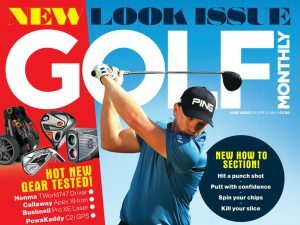 Log on to www.golf-monthly.co.uk for all the best build up to and coverage of the event.